Jonty Greer is an irresistible, impoverished jobbing actor catapulted into the fraught mindset of a rich man by a lottery win. Certain that money can deliver happiness and change, he strives to give his fortune a social conscience by funding what he views as life-changing theatre workshops, initially to the young people of a small English seaside town. As insecure as he was ten years ago when he worked for The People Train Community Theatre, he summons support from his old acting buddies, Edward D’Amato and Caroline Fenton, persuading them to join him on his altruistic quest to heal and inspire the disenfranchised youth of the town and possibly, the whole world. Jonty is unprepared for the demands a vast amount of money put on him and the people around him, including the local council, the women in his life and an abused child attending the workshops. Can money alone mend the loneliness, austerity, damaged relationships and homelessness that he unwittingly uncovers? Will Jonty’s win make him a better person? Or will he and the people his money attracts, remain the same? 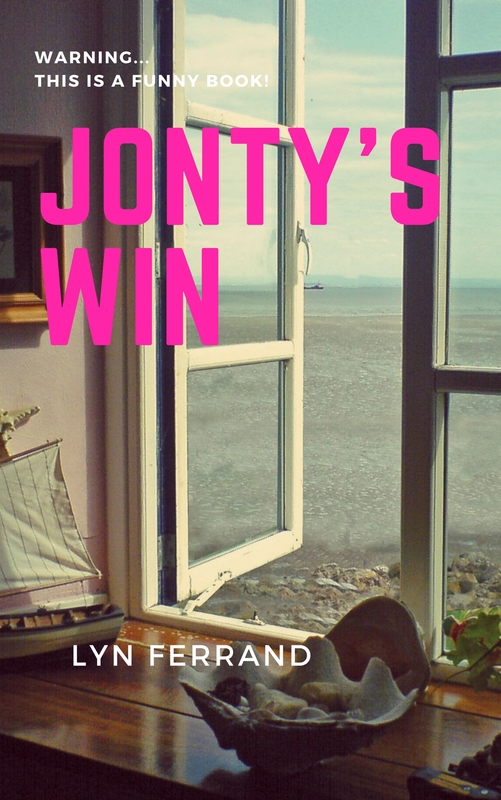 Jonty’s Win is a sequel to Lyn Ferrand’s first novel Pretending. This is the second book in the Jonty series. Look out for the next one, coming soon! Enjoy! 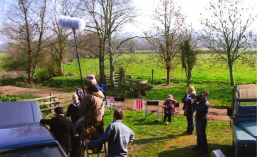 Filmmaker Steve Firenze responds to a plea for help from Harry, his daughter’s godfather, who has relocated from London to a rural community in the West Country. Caught up in Harry’s desperate claim that an unscrupulous property developer is financially exploiting him, Steve inadvertently exposes the dark side of the rural idyll and comes face to face with corruption and murder. While attempting to solve Harry’s issues, Steve befriends Eloise and becomes involved in a series of malevolent events that threaten her sanity. They are forced to reassess their values, the way they perceive the changing countryside and the people who live there. Black humour is ever present in this tale of unfulfilled expectations surrounding the myth of a tranquil country life. With a tongue-in-cheek look at the criminal activities of a local councillor and a quartet of elderly incomers who have purchased houses on a gated community for the retired, Rural Cut explores how financial greed and the repercussions of indiscriminate development can ruin lives and change rural places for ever. Posted in Books by Lyn Ferrand, Lyn Ferrand, Rural Cut. The dark side of country life., Writing. It’s hot. Thirty degrees out there. Where am I? Not basking in the sunshine. Oh, no. I’m at my desk in my study, grinding my teeth at the antics of my protagonist, who of course, I love madly. He’s the hero of a series of books about the progress of a hapless actor, who in my last novel JONTY’S WIN managed to acquire a huge amount of cash, through a lottery win. Now, when you’ve been a jobbing thespian, touring the byways of Devon, in search of a village hall or community centre willing to take your latest theatrical endeavour, a financial windfall like that can throw you right off track. Since I began writing novels five years ago, my characters have become so real that I sometimes have to pinch myself. Will Jonty Greer walk through the door any moment in a state of total panic and ask for a cuppa and a Valium? Will lovely Edward D’Amato, his faded, elderly actor compatriot, slide between the french doors, holding a bunch of white roses, freshly picked from the rose garden? ( I have a yard that measures 4×4 – no rose garden.) Can I expect tough, hard-nosed-with-a-heart-of-gold Caroline Fenton, actress and waitress (the two often go together) with designs on Jonty’s millions, sashay into my kitchen, looking for a glass of red, or two? That’s what immersing yourself in writing a book can do. Lots of new and wildly interesting people invading your life, at least you hope they are, otherwise no one will want to read about them. It’s a kind of magic. Books always worked magic for me. How wonderful, the smell of my local library! Even the shushing of the librarian when I chewed my gum too loudly and tapped my foot in delight at discovering another naughty Emile Zola novel, (I was fourteen at the time and his books were a bit forbidden by the nuns, who taught me) couldn’t stop me getting hooked on books. Then the expected happened. Marriage and kids and all that. I kept reading, though kid’s books were top of the list for while, and that was okay. When my four little dears finally escaped my clutches and ran boldly into adulthood, there was space again, to read, write, make theatre and film. Oh joy! My own stuff, at last. Writers are a weird lot. We work in isolation but the outcome of all those alone hours, are audiences who will take the time, in this mad world, to snuggle down on a deck chair under an umberella and read your book. What a huge privilege that is! Posted in Advice for new writers, Books by Lyn Ferrand, Lyn Ferrand, Writing. I should be going to church. Why am I not going to church? Backtrack to my childhood – a very long time ago. It’s eight o’clock and I’m marched to the bus stop with my mum, a dedicated Catholic, who, bless her, thought a convent education would keep me on the straight and narrow. She insisted I never ever miss Mass or Benediction or the ability to recite the Catechism on demand. What was she thinking? An uninterrupted programme for Sunday morning, lasting years. Every Sunday, the parts of my brain, once carefully washed into believing hell wasn’t just a red hole in the ground you fell down once you’d clocked it – my interpretation of the devil’s home as a nine-year old – but a tangible ‘thing’ that really existed. At night, I visualised my time in that elusive city called Purgatory, a stop-over motel you stayed at before hitting the flames, if you didn’t get absolution (for those of you who don’t know what that means, it’s like the time you stole your big sister’s makeup and had to apologise profusely, if you didn’t want her to break your arm). When I discovered I was adult (when did that happen?) and became enthralled with all things theatrical and literary, my opinions changed. Of course they did! That’s what being a grown-up means, doesn’t it? But, the echo of early indoctrination lingered, damn it and Sunday mornings was when Madam Guilt knocked on the door. How do I deal with this infestation of guilt that manifests as a malevolent old woman every Sunday morning? I turn my back and get writing. I’ve discovered the story you create can have a magical quality, capable of assuaging all sorts of guilt trips. You simply dump it in a maze of sentences and transfer Madam Guilt to the plot. Of course, sometimes, I do actually attend Mass because I want to, not because I feel guilty. I don’t agree one jot with most of the rubbish the church puts out, but that’s religion for you, especially if you’re a woman. I do enjoy the theatrical performance that is the Mass, with the bells and whistles and men in dresses. It does give me a strange and unexpected infusion of peace, though when the church is full to capacity and I squeeze myself into a tiny corner in the back row, next to a very large man who reeks of sweat, tranquility is hard to access. Assuage your own guilt by reading it. You’ll feel better – promise!